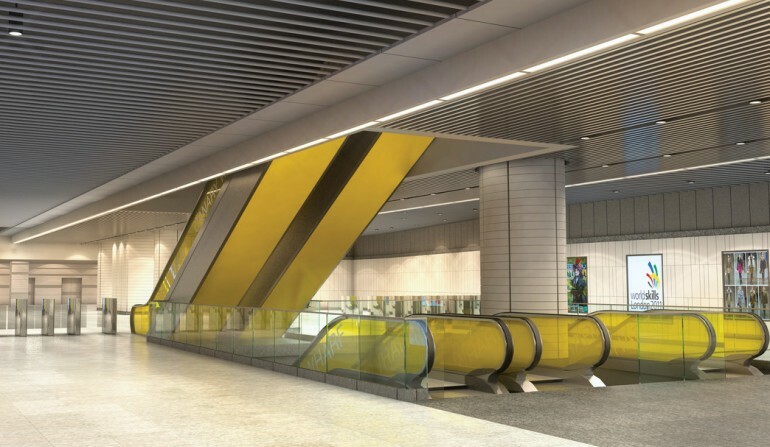 Canary Wharf station - Crossrail . For information about the Elizabeth line please visit the Transport for London website. 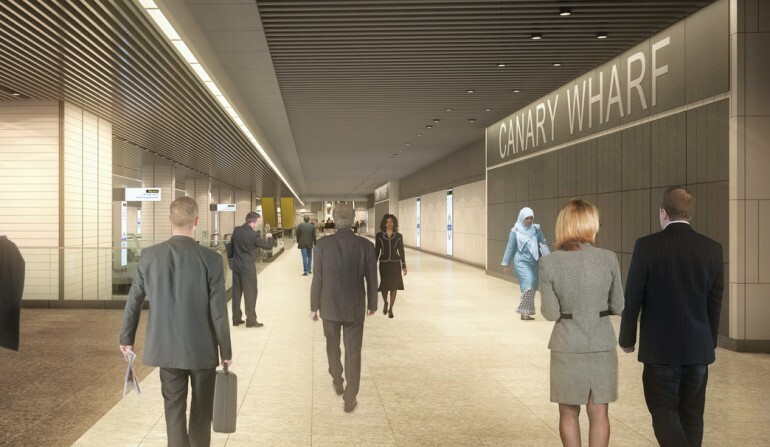 Sitting below a five storey mixed-use development known as Crossrail Place, the new Canary Wharf station helps connect this key business district to the City of London, the West End and Heathrow. 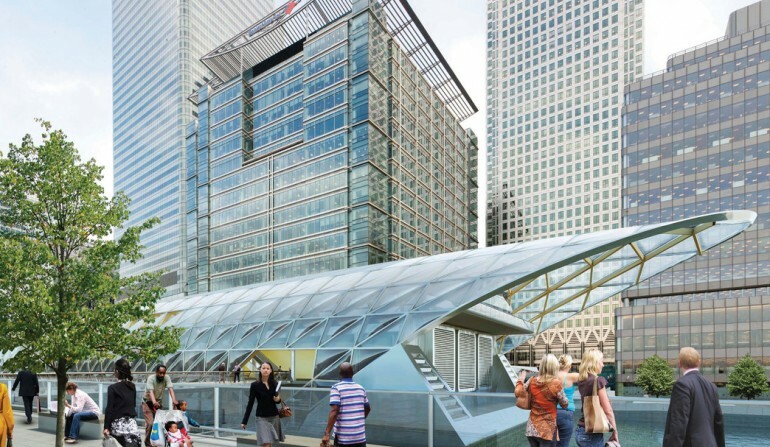 At the same time, it acts as a bridge between two communities - Canary Wharf Estate and Poplar to the north. The 250 metre-long station box is surrounded by the water of West India Quay dock. 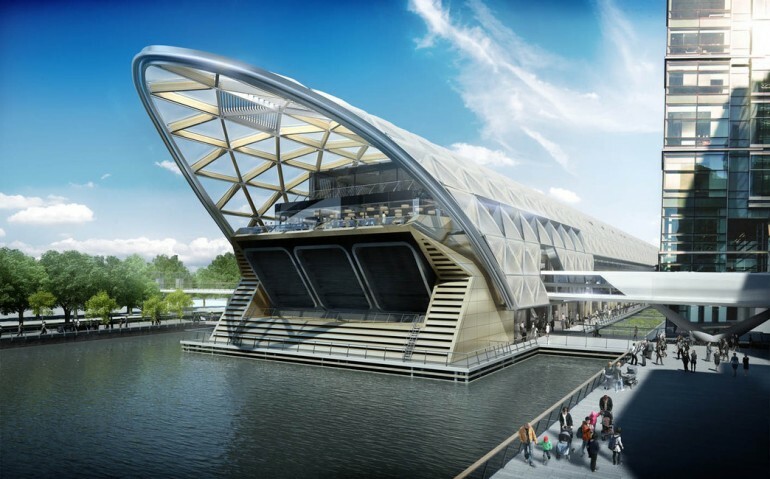 Designing a station to be built 18 metres below water level presented significant design challenges but has resulted in optimum access to and through the Canary Wharf Estate while retaining a navigable channel for boats within the dock. 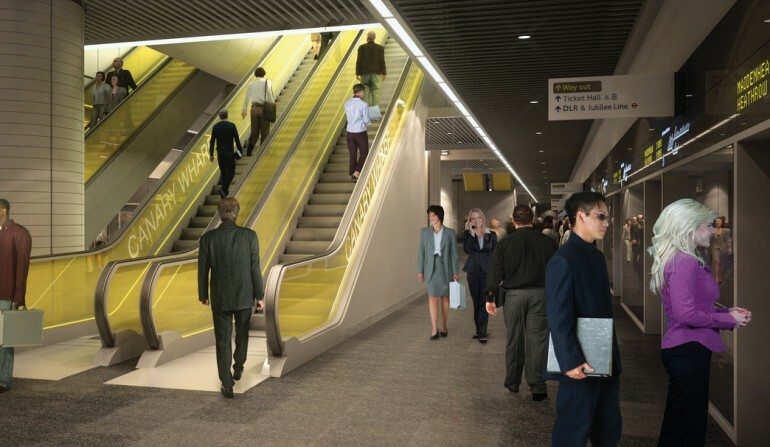 The station ticket hall is accessed via eight long-rise escalators from the promenade level entrances at either end of the building. 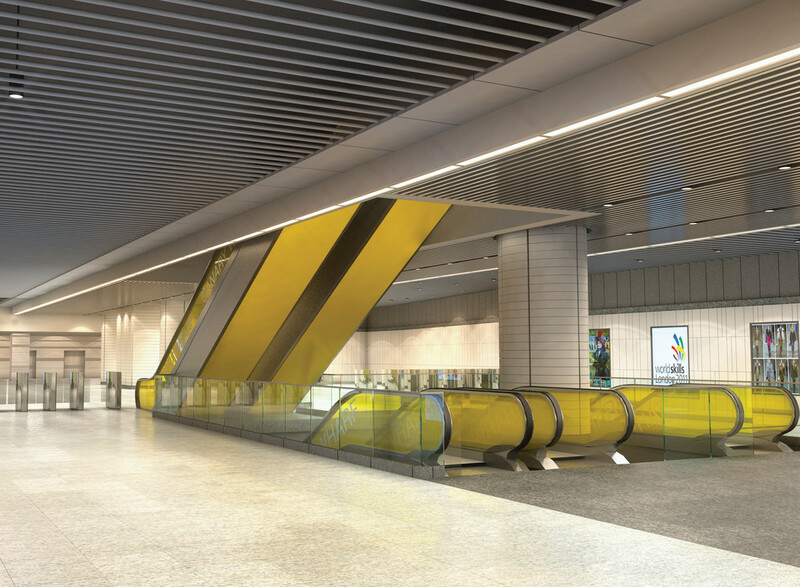 A visual connection between the station platforms and the concourse level above is achieved through the use of large openings between the two floors and a central spine of vertical circulation reinforced by the use of colour and light. 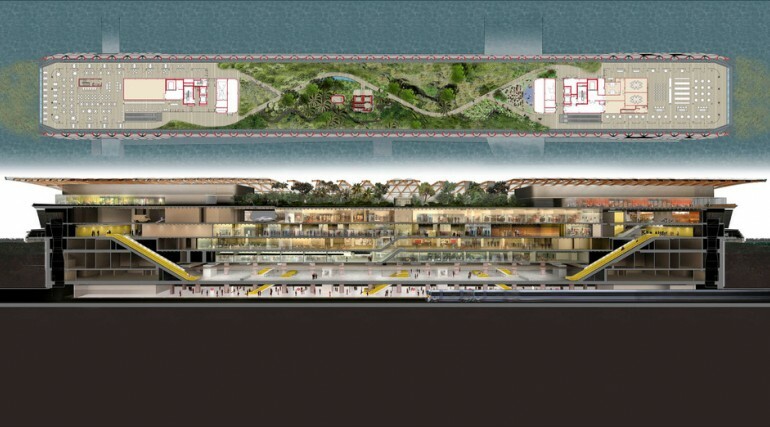 More than one hundred thousand square feet of retail and leisure space sits above the station. A 310 metre-long timber lattice roof, sheltering a striking roof-top garden, lets in light and rain for natural irrigation. Translucent air filled pillows allow direct views in and out of the building. 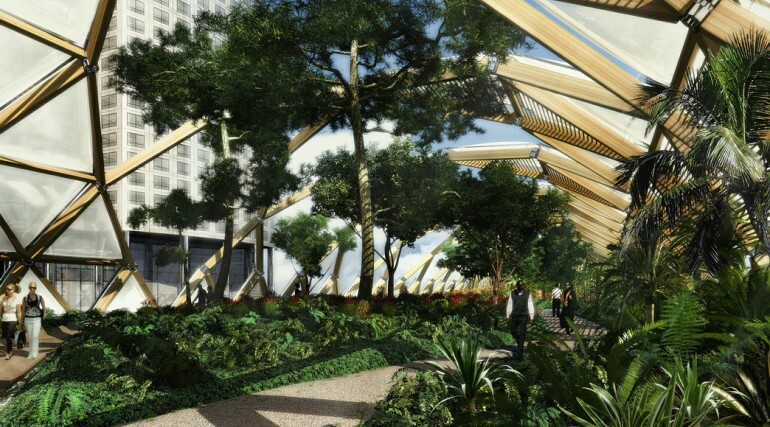 Sustainably sourced beams provide a warm, natural counterpoint to the glass and steel towers of Canary Wharf. The nautical reference extends beyond the main structure of the building to the angled design of the buttress ends, anchoring the striking timber lattice roof. 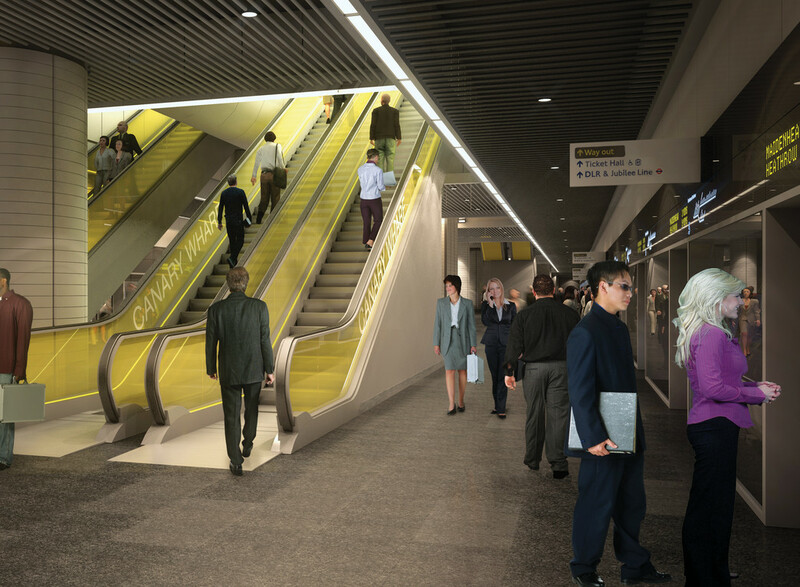 When the full route opens, an Elizabeth line service every five minutes at peak time will allow passengers to travel all the way through to Paddington, Heathrow or Reading in the west and Abbey Wood in the east. 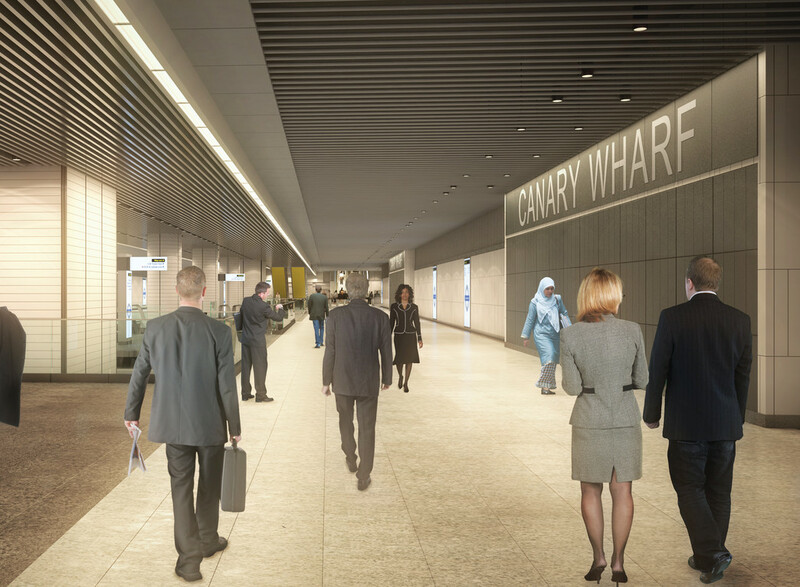 Image shows proposed Canary Wharf station at North Dock. 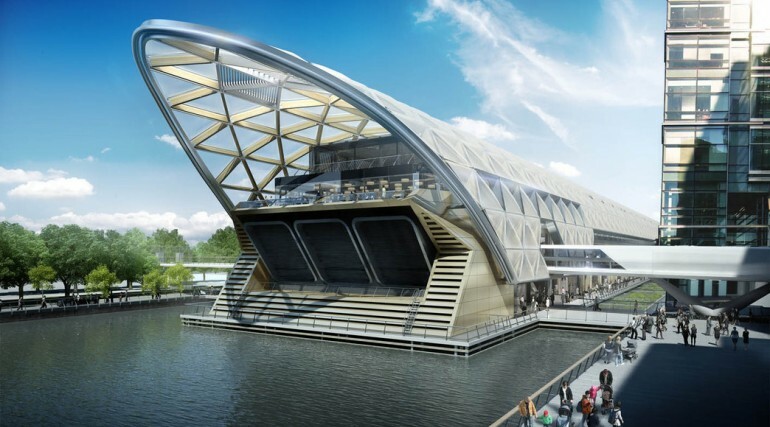 The station has been designed to look like a ship in the dock. 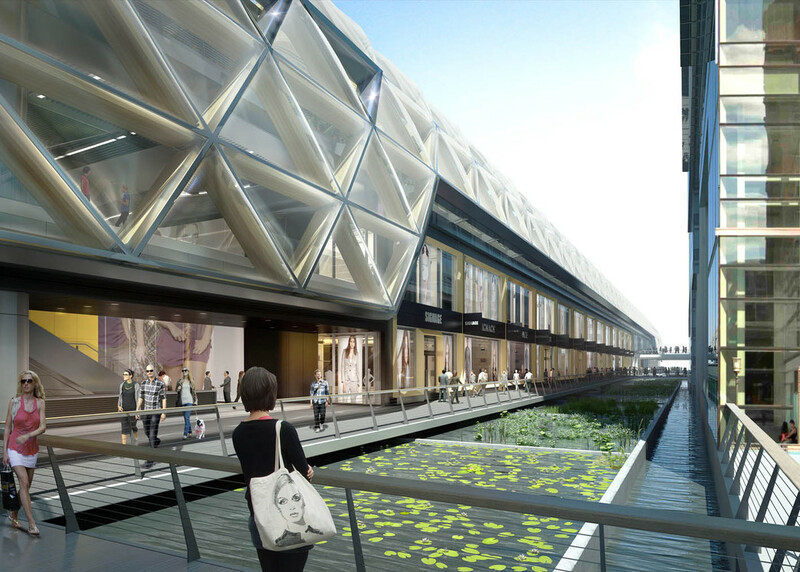 Architects impression image of proposed over-site development above Canary Wharf Crossrail station. 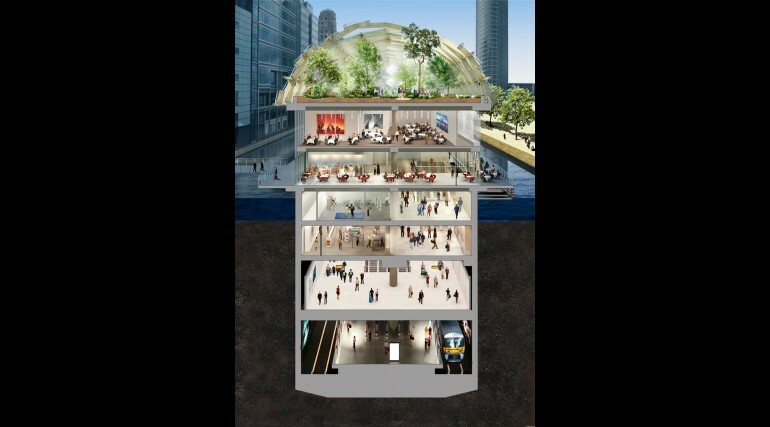 Architects impression of Canary Wharf Crossrail station. View looking across the North Dock. 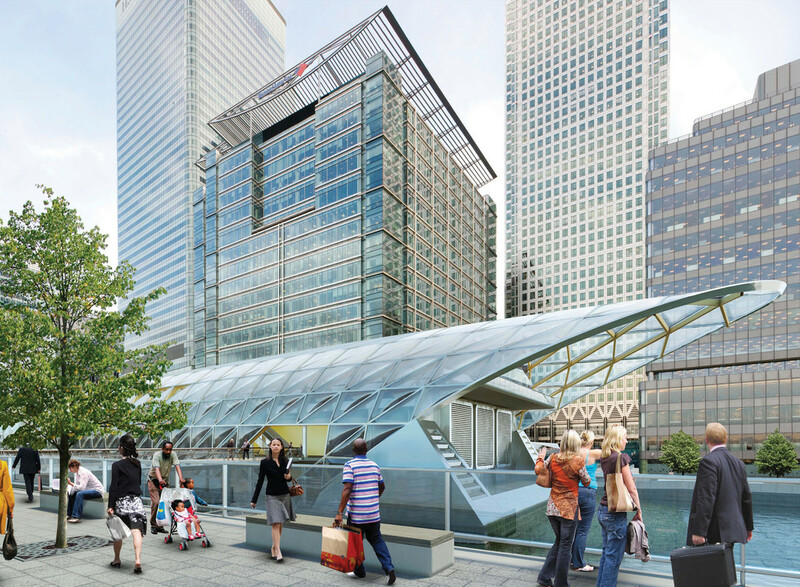 Architects impression images of Canary Wharf Crossrail station. 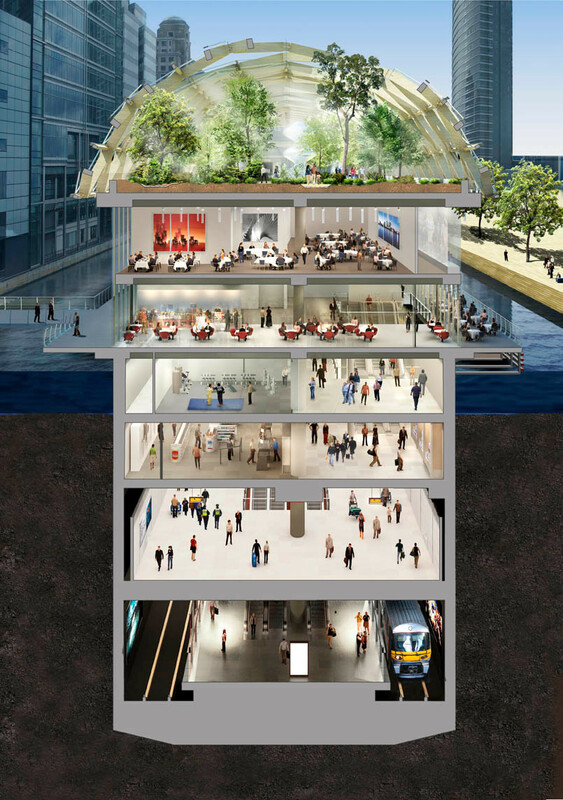 Architects impression image shows a cross section view of Canary Wharf Crossrail station. 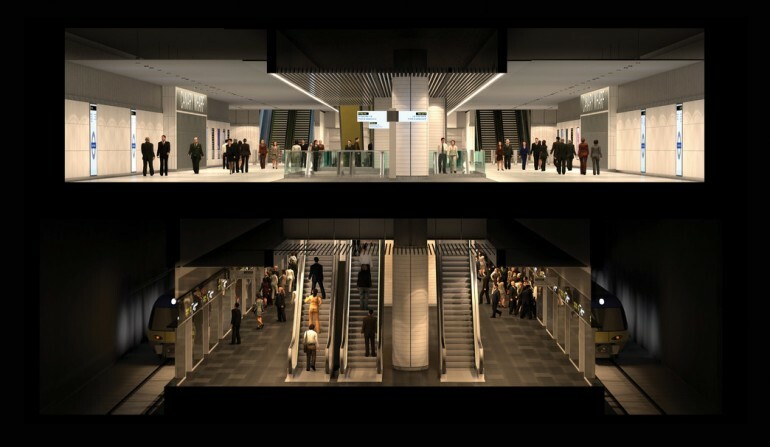 Architects impression of retail level entrance to Canary Wharf Crossrail station. 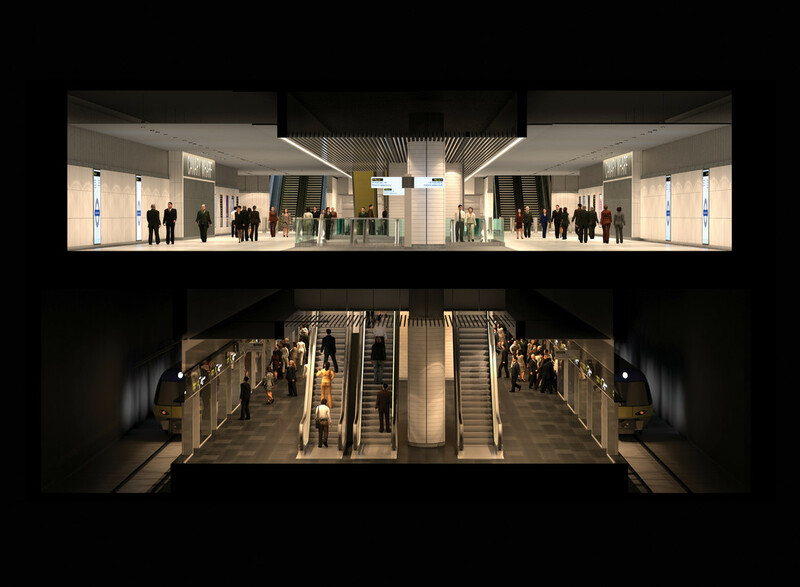 Architects impression of platform level at Crossrail Canary Wharf station. 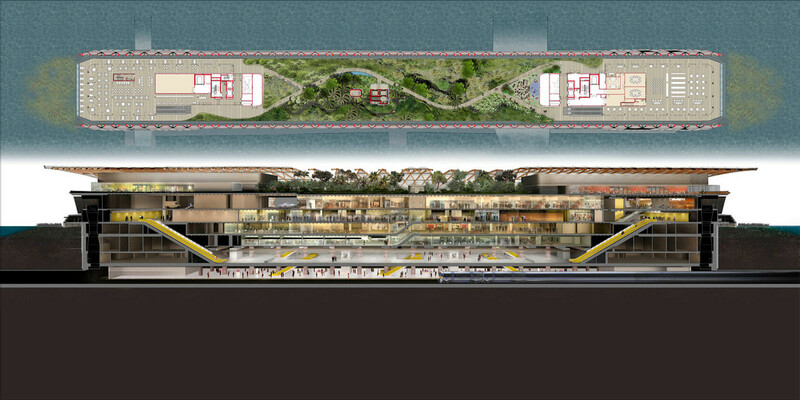 Cross-section view of Canary Wharf Crossrail station. 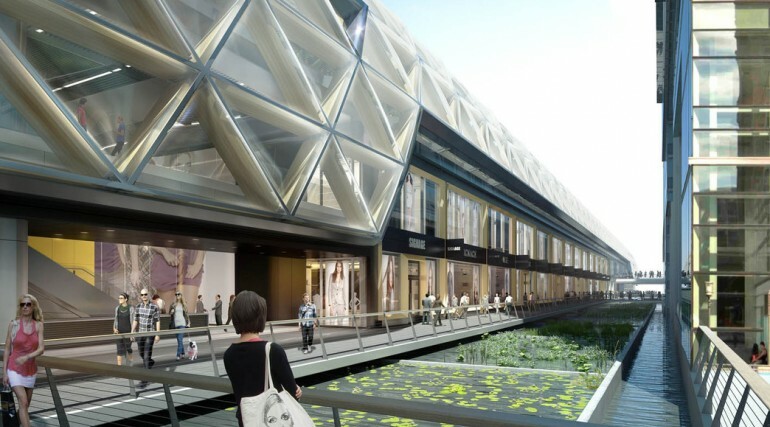 The over-site development includes a striking Foster designed timber lattice roof and rooftop garden level that sit above the four-story retail development.